This exclusive event brings enthusiasts into the inner circle with custom builders from around the country – and the world. A new feature at The Flying Piston Builder Breakfast are customized Strider Balance Bike from custom builders including Jody Perewitz, Pat Paterson, Brian Fuller, Paul Yaffee, Rick Fairless and Motorcycle Missions. They made their debut at the breakfast and will tour at selected events across the united states drumming up business for the breakfast. Next year the bikes will be auctioned off during the 2019 breakfast. A Strider Balance Bike inspires kids to ride. A Strider makes riding as easy as walking for kids of all ages! The Flying Piston Presented by Russ Brown Motorcycle Attorneys experience provides a distinctive opportunity to shake hands, get autographs and pose for pictures with the builders that are participating in the : Passion Built – Garage to Gallery event. Special guests include Buffalo Chip founder Rod “Woody” Woodruff, Michael Lichter, Bikernet Editor Keith Ball, Thunder Press Editor Shadow Kleiman and emcee Bob Kay. John Reed, Rick Fairless, Bill Dodge, Brian Klock, Cris Summer Simmons and Moonshiner Josh Owens stopped in last year! 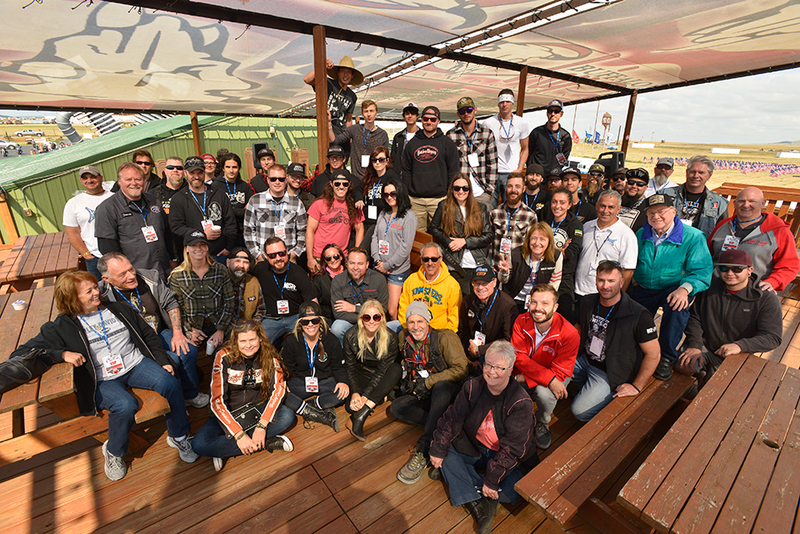 The Flying Piston is a charity breakfast developed to assist veterans and to support the next generation of motorcycle enthusiasts entering the industry through Tech-Ed scholarships. Marilyn Stemp of irontradernews.com and Jeff Najar of Horsepower Marketing produces the annual breakfast event. Motorcycle Missions is a 501(c)3 Non-Profit Corporation helping Veterans and First Responders who deal with PTS(D) and suicidal ideation find hope and healing through motorcycles.